Since 1920, Dauterive Hospital, located in New Iberia, LA, has provided high quality healthcare to the people of Iberia and surrounding parishes. This 103-bed facility has remained innovative and technologically advanced, including the completion of a $21 million renovation and expansion project in 2001. More than 125 physicians and 450 qualified healthcare professionals are here to provide a broad range of medical and surgical specialties in an effort to continue to meet the dynamic healthcare needs of its communities. 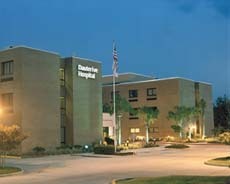 Dauterive Hospital has earned a reputation as the premier hospital in the Iberia Parish area due to the wide range of healthcare services it provides for the community. They include Emergency Services, Cardiovascular Services, Surgical Services including weight loss surgery, Obstetrics, Gynecology, Pediatrics, Breast Care, Outpatient Services, Rehabilitation services, Psychiatric Services, Sport Medicine, ADA Accredited Diabetes, and a "Steppin’ Up Program". Above all else, we are committed to the care and improvement of human life. In recognition of this commitment, we strive to deliver high quality, cost-effective healthcare in the communities we serve. In pursuit of this mission, we believe the following value statements are essential and timeless: We recognize and affirm the unique and intrinsic worth of each individual. We treat all those we serve with compassion and kindness. We act with absolute honesty, integrity and fairness in the way we conduct our business and the way we live our lives. We treat our colleagues as valuable members of our healthcare team and pledge to treat one another with loyalty, respect and dignity. New Iberia, LA – home of the famous Tabasco Sauce – is a beautiful historical town located in south-central Louisiana. We are just a 20 minute drive to the Lafayette Regional Airport-Jet Service, with daily flights to Dallas, Atlanta, Memphis and New York City; and 20 minutes to the University of Louisiana at Lafayette, the second largest state university offering 61 degrees. New Iberia also has a civilian airport to further expand its base. Just off of Interstate 10, New Iberia offers easy access to both Houston and New Orleans. Currently, billions of dollars are pouring into Louisiana as a result of Hurricanes Katrina and Rita. The effort to revitalize the coastal areas is having a ripple effect throughout the state. We are a family oriented community, culturally rich with a mix of French, Spanish and Acadian influences. Iberia Parish thrives as a center of sugar, oil, and salt production. We are home to the Port of Iberia, a 2,000 acre industrial and manufacturing site, Tabasco sauce, and both private & public schools. We boast of some of the finest Culinary & Music Festivals in the region, year round hunting, fresh or saltwater fishing, and beautiful golf courses. We are located 243 miles east of Houston, 138 miles west of New Orleans, 80 miles SW of Baton Rouge and 19 miles south of Lafayette. New Iberia is proud to share its rich history and culture with you. Here in the heart of Cajun country, French, Spanish and Native American cultures have blended together to create something unlike anything found anywhere else in the world. It is with this spirit of sharing in mind that we invite you to experience our history, as well as a taste of our cuisine. There’s always something interesting and fun going in New Iberia along the banks of the Bayou Teche and Lake Peigneur. This region has many natural features of interest, such as Avery Island, home of Tabasco sauce and the oldest salt mine in North America; Annual Bunk Johnson/New Iberia Jazz, Arts & Heritage Festival, also known as the BunkFest; Jungle Gardens, botanical garden and bird sanctuary; and the Sugar Cane Festival, to celebrate the commencement of the sugar cane harvest, locally referred to as grinding. Sugar cane is a principal crop grown by New Iberia farmers. The Iberia Community Band hosts four public concerts throughout the year and is open to amateur, student, and professional band instrumentalists of all ages and skill levels.